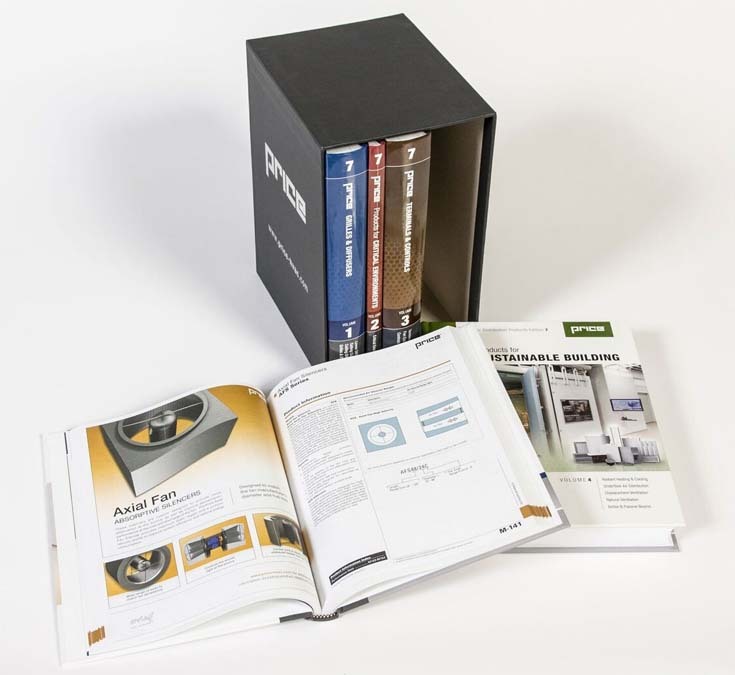 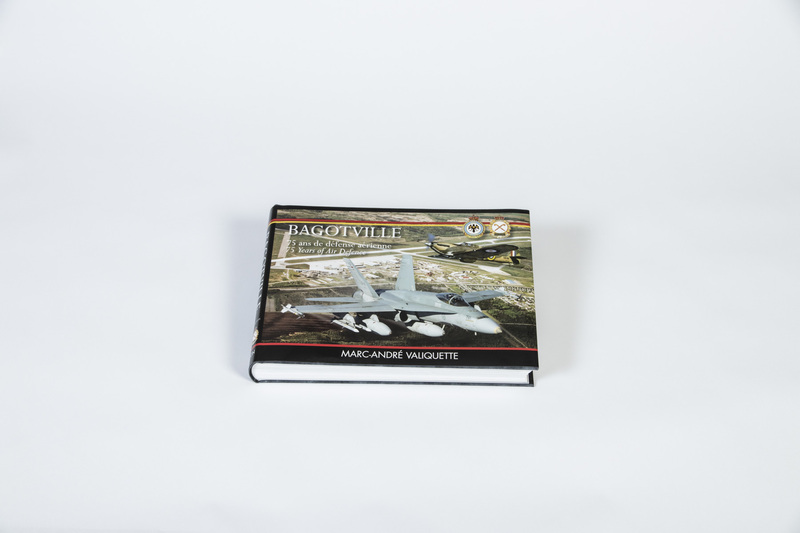 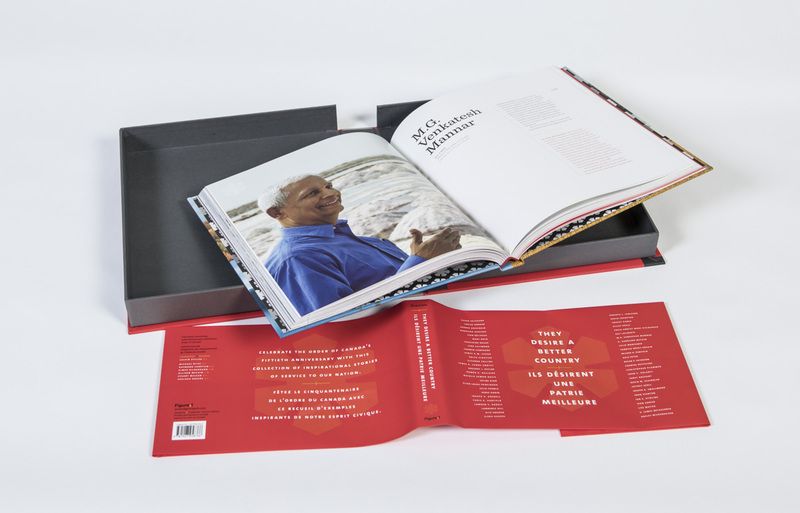 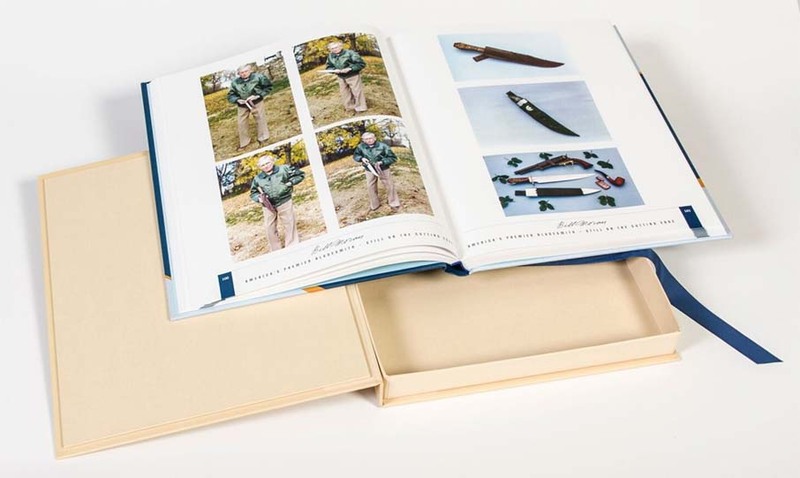 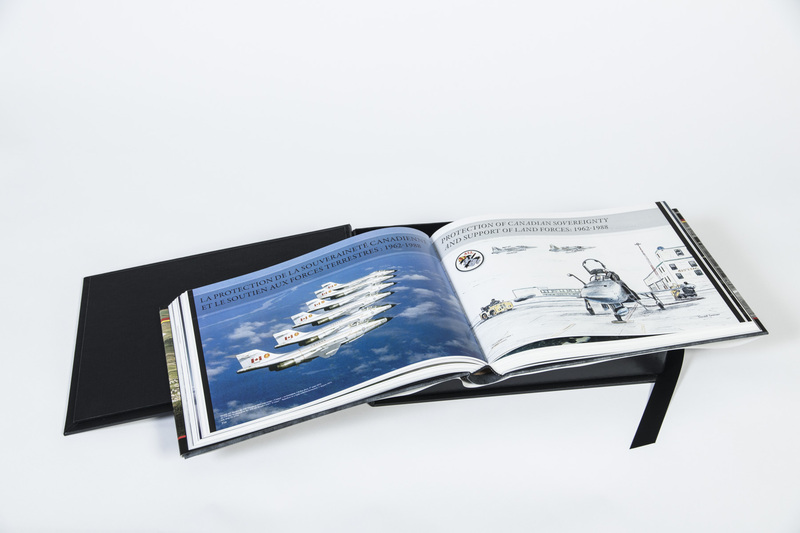 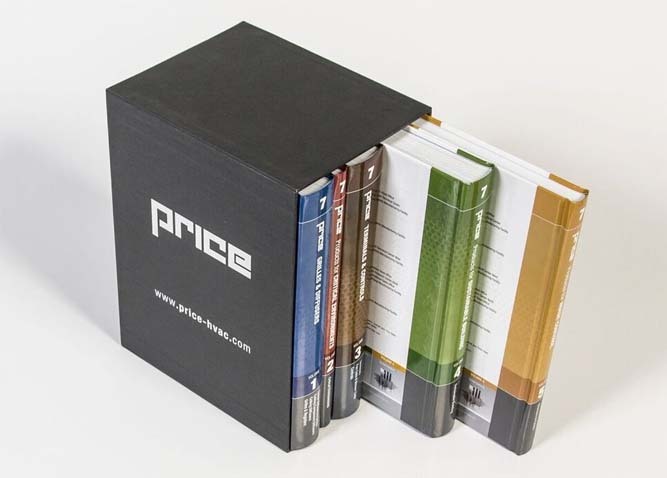 Friesens has the ability to add unique and specialty products to your book project. 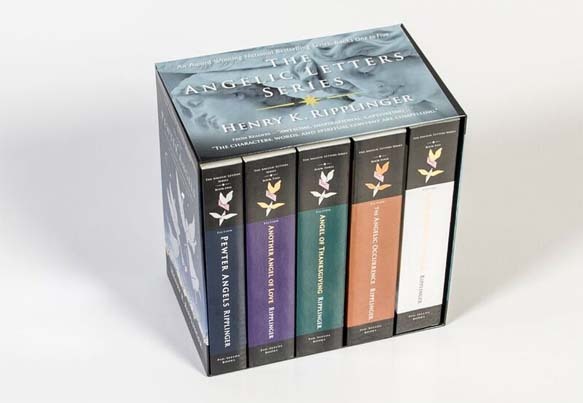 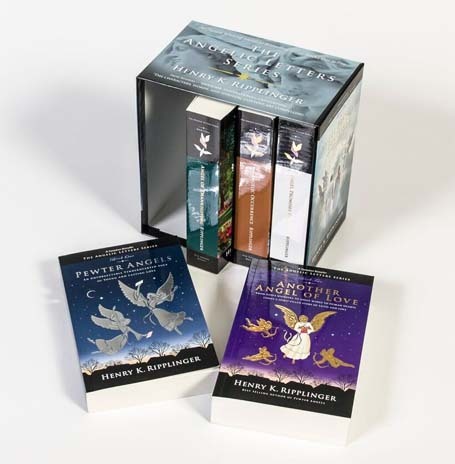 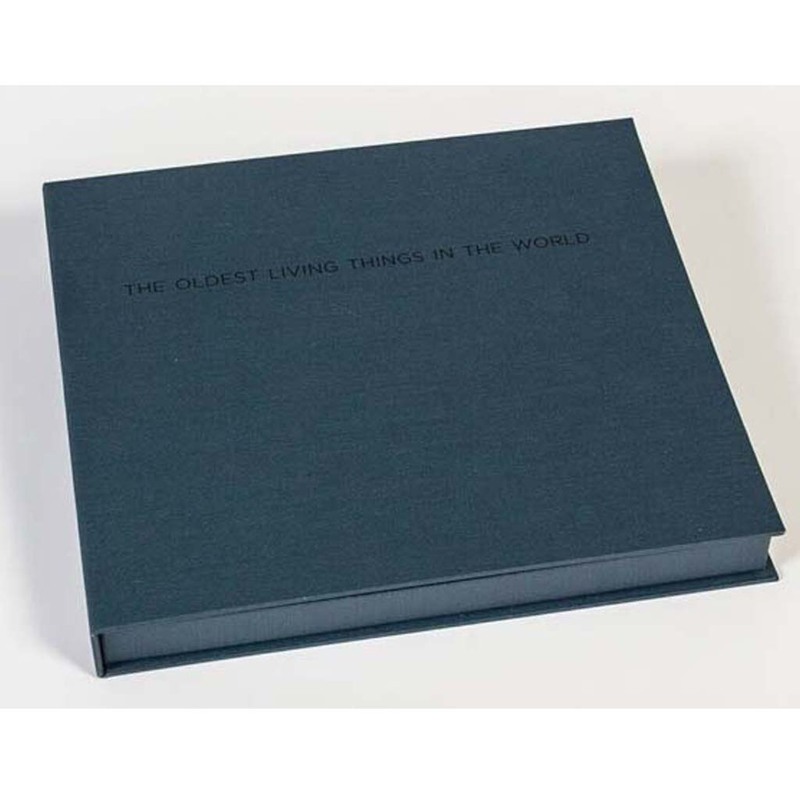 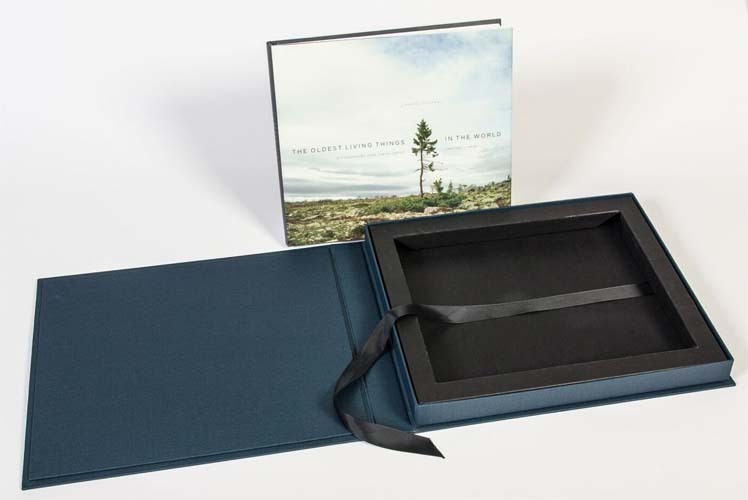 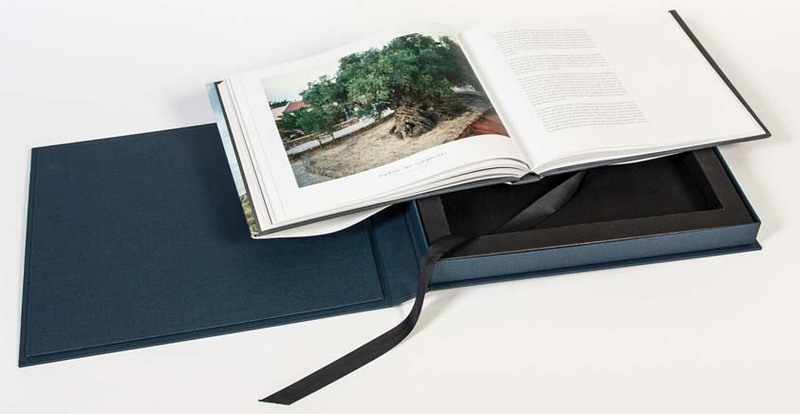 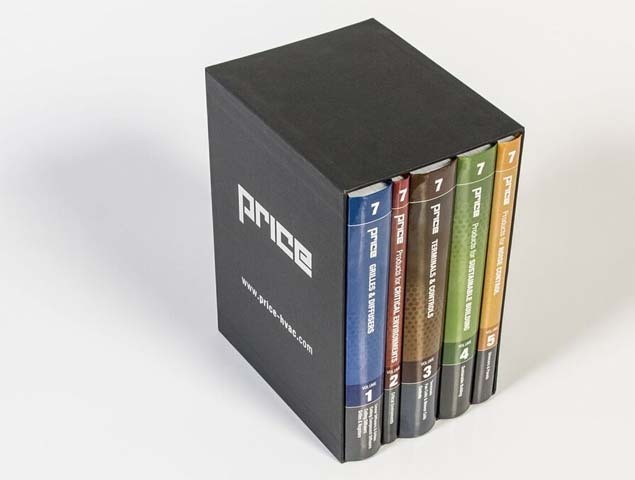 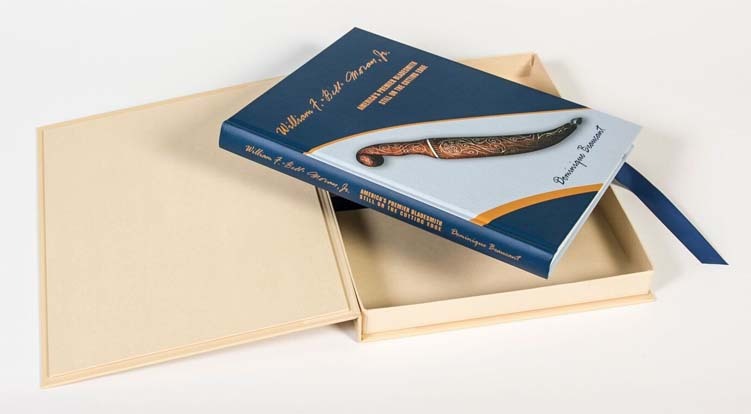 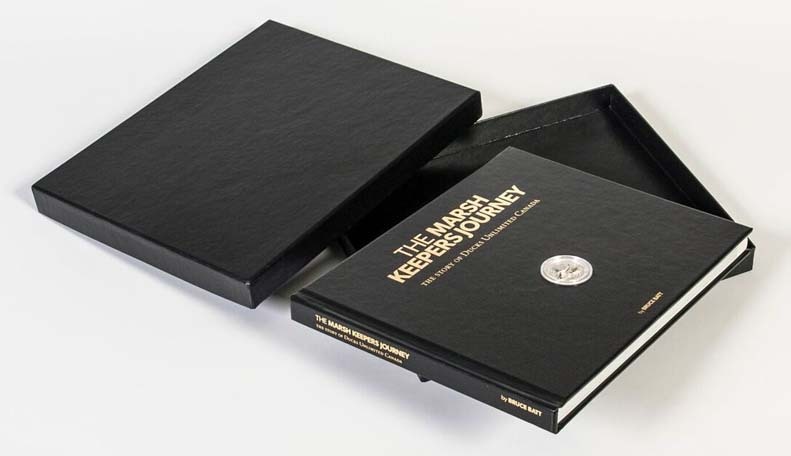 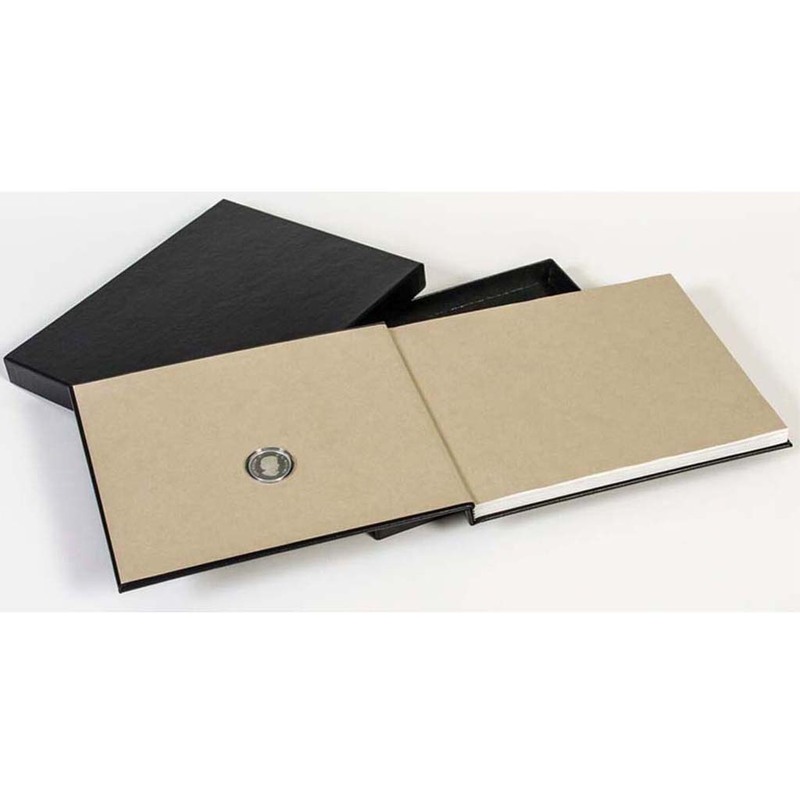 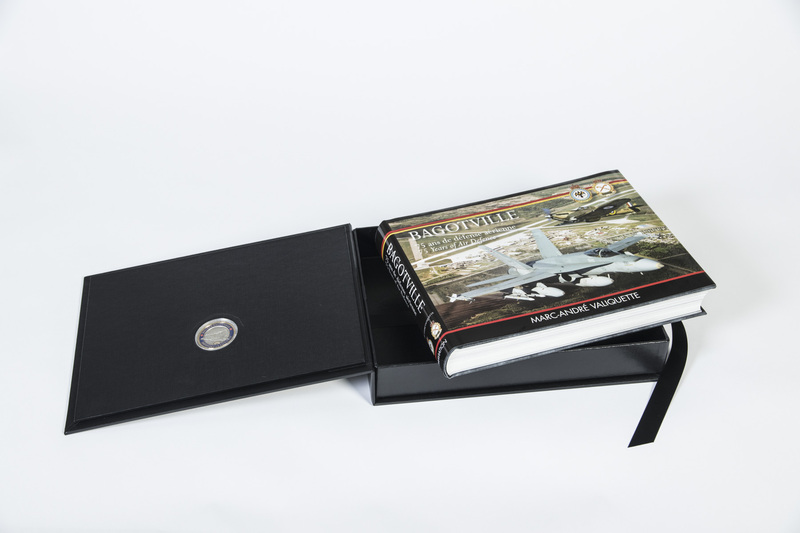 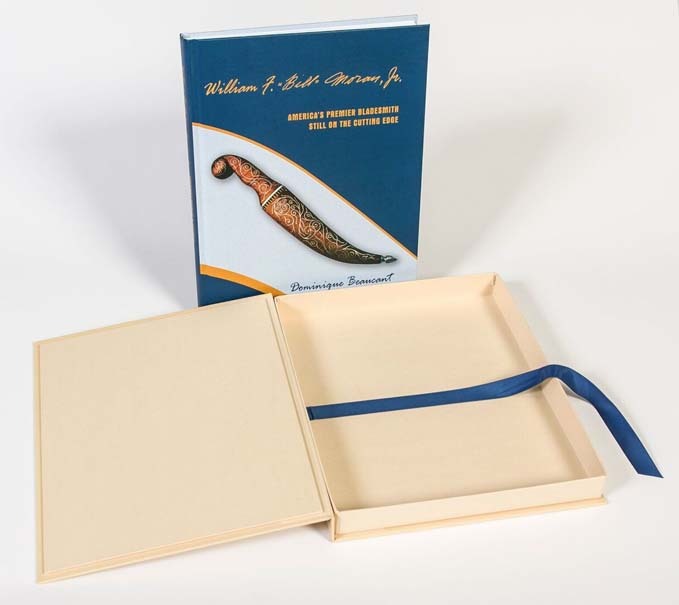 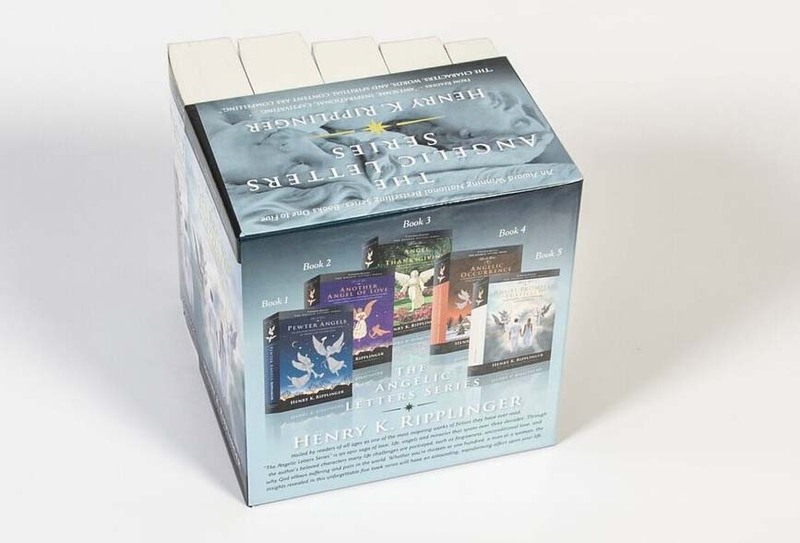 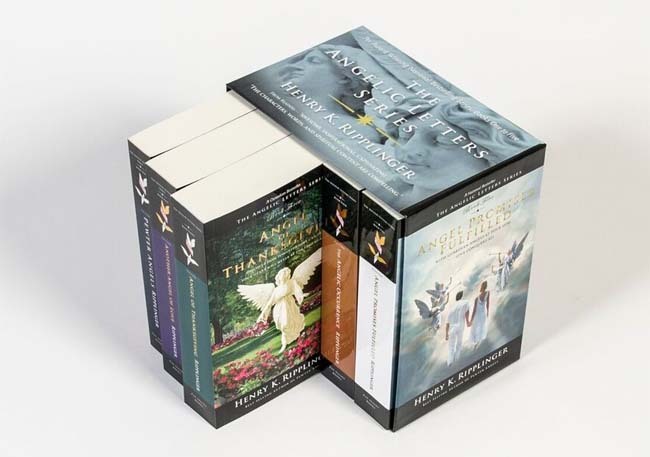 We produce slipcases, book boxes, presentation boxes and clamshell boxes that can enhance your product, and at the same time provide an attractive and durable way to present or to store those specialty items for a lifetime. 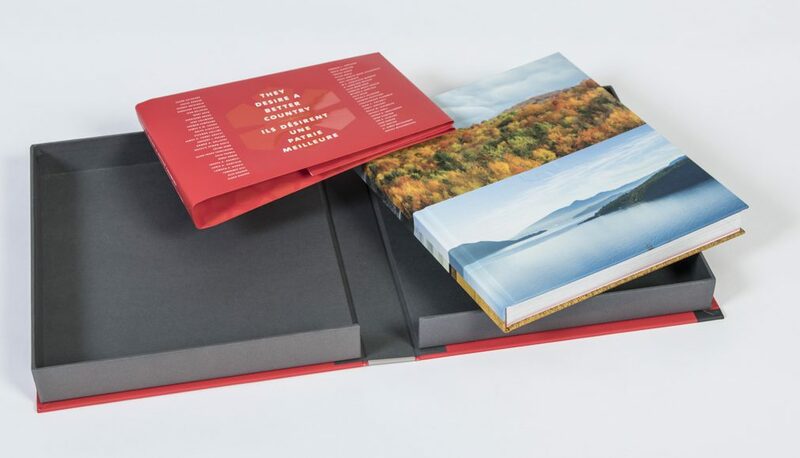 We can help your product stand out in the marketplace and create a first class impression with a foil stamp, custom emboss, deboss, or a printed wrap for any special project you may have. 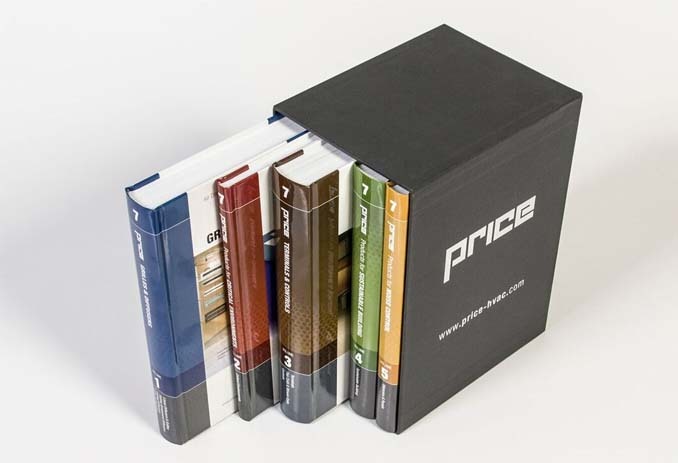 So whether it’s a special edition book, publication, or a special package contact us for an estimate. 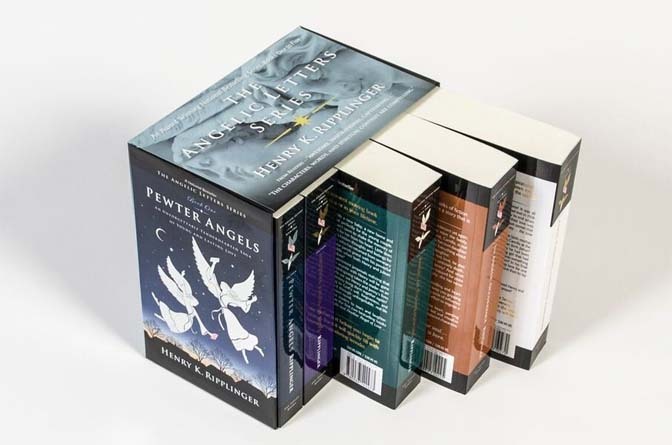 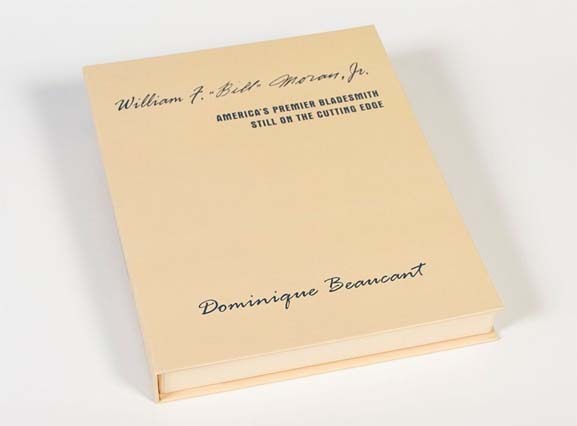 Bumper insert is 20 pt board, 1” wide placed on the inside of tray to hold the book in place. 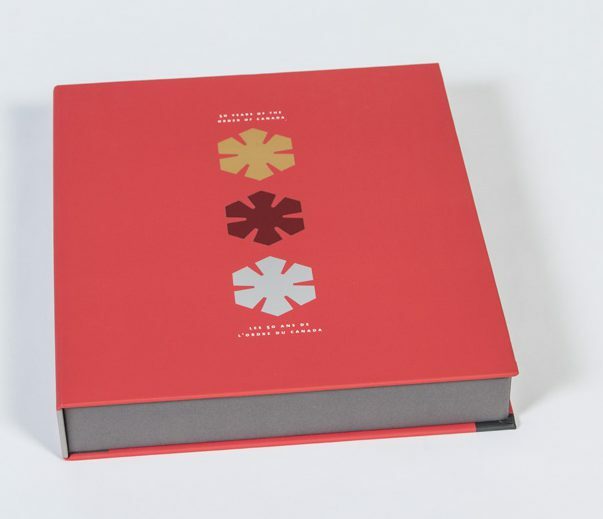 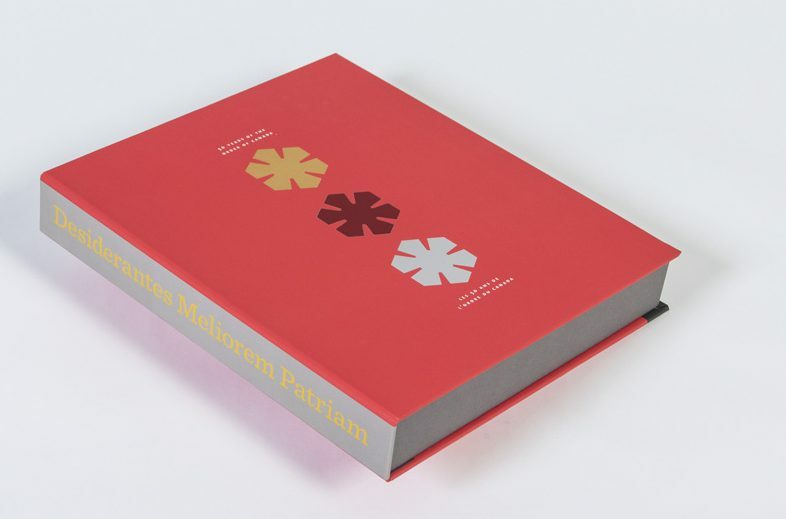 Wrap is printed 4 colour with matte laminate and foil stamped using three different foil colours. 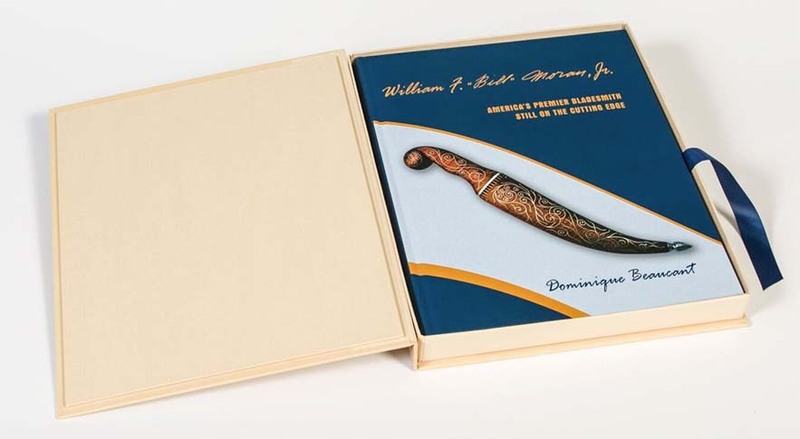 We foil stamped after printing then applied the laminate to improve durability. 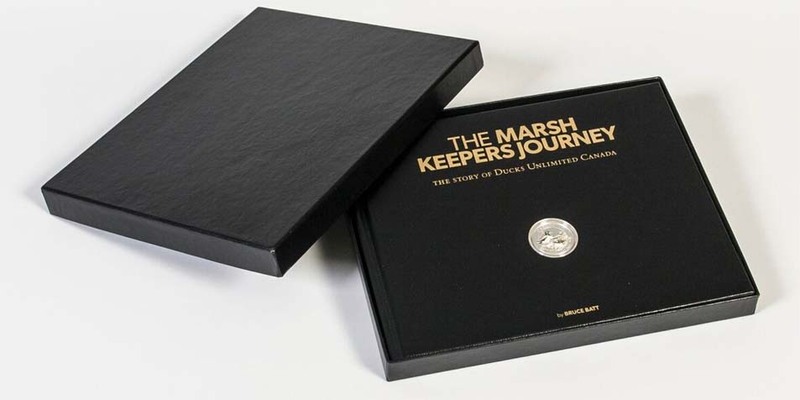 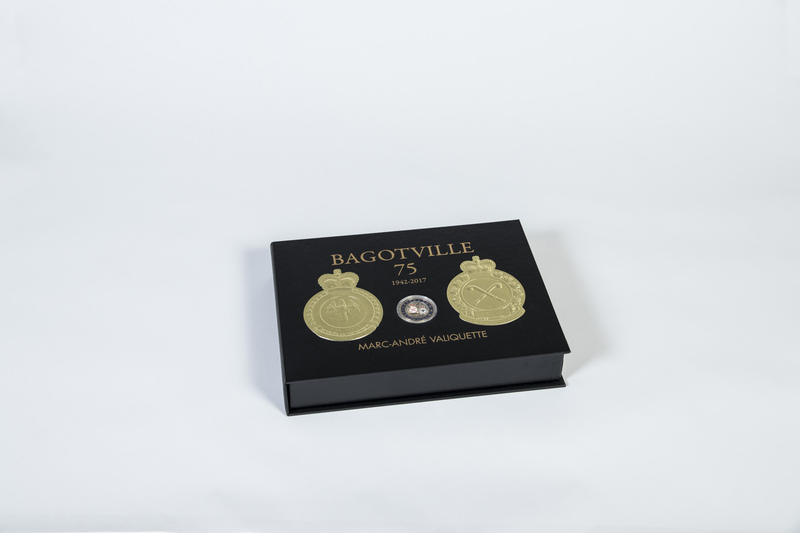 Die-cut outside case and inserted a supplied limited edition coin into die cut area.